The non-profit One Mind recently announced a partnership with the Intellectual Property & Science business of Thomson Reuters to further the understanding of traumatic brain injuries (TBI) and the central nervous system (CNS) . The relationship will enable researchers to collaborate and share research results on a single web platform. One Mind is an independent, non-partisan, non-profit organization dedicated to curing the diseases of the brain and eliminating the stigma and discrimination associated with mental illness and brain injuries. The organization sponsors groundbreaking new research and creates portals to shared scientific data with the aim to cure all types of mental illness and brain injury. For more information, check out the video below. Traumatic brain injury (TBI) usually results from a violent blow or jolt to the head or body that disrupts the normal function of the brain. 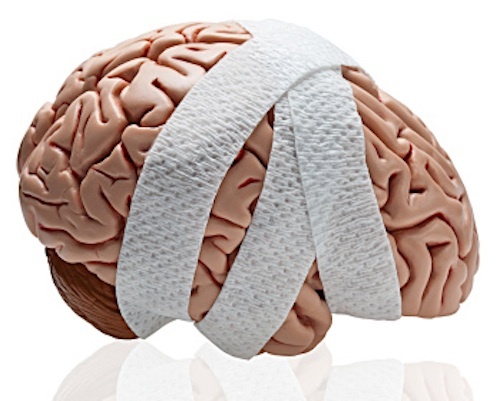 Mild TBI may cause temporary dysfunction of brain cells. More serious TBI can result in bruising, torn tissues, bleeding and other physical damage to the brain that causes long-term complications or death. TBI is a leading cause of death and disability worldwide. In the United States, at least 1.7 million TBIs occur every year either as an isolated injury or along with other injuries . One Mind is working with Thomson Reuters, the world’s leading provider of intelligent information for businesses and professionals, to implement tranSMART, an open source data sharing and analytics platform supported by the tranSMART Foundation. tranSMART will support the scientific community’s need to share data, collaborate to improve diagnostics and discover more effective treatments for patients suffering from CNS- and TBI-related diseases. tranSMART is a knowledge management platform that enables scientists to store patient data and correlate it with phenotypic data of clinical relevance, such as disease subtypes, drug response and survival expectancy. Researchers will then be able to use the platform to generate hypotheses on efficacy and toxicity biomarkers, novel drug targets, patient stratification for clinical trials, and other clinical applications. Web platforms like tranSMART are essential in advancing the work of our community’s researchers, but there are many challenges in constructing and maintaining this type of tool and having it work in unison with the One Mind Portal in development. We are happy to be working with Thomson Reuters on this project. Their expertise and experience have been instrumental in helping craft tranSMART to fit the specific needs of our research community. In the initial stages of the project, Thomson Reuters provided data curation and analysis for preparing and uploading TBI clinical data, and performed preliminary data analyses and designed a workflow driven by clinical terminology. In the next stage, the Thomson Reuters team will provide a broad spectrum of services to assist One Mind and its partners in using the platform as part of the One Mind Portal, including advanced bioinformatics analysis of the molecular data generated in TBI, clinical trials and a customization of tranSMART for the organization’s information portals. Thomson Reuters and One Mind anticipate continuing the relationship in the future for the development of the “Apollo Program,” the One Mind Brain Data Exchange Portal. Scheduled to launch in 2013, One Mind’s flagship “Apollo Program” is a revolutionary brain data exchange portal that is intended to be the largest open source single volume of brain data in the world. Thomson Reuters Collaborates with One Mind for Research to Advance Traumatic Brain Injury Knowledge. One Mind for Research press release. 2013 Jun 12. Faul et al. Traumatic Brain Injury in the United States: Emergency Department Visits, Hospitalizations, and Deaths 2002-2006. Centers for Disease Control and Prevention, National Center for Injury Prevention and Control; 2010.